There is nothing more satisfying than a warm bowl of homemade soup. Many of us are used to “opening a can” and heating up soup for a quick meal. 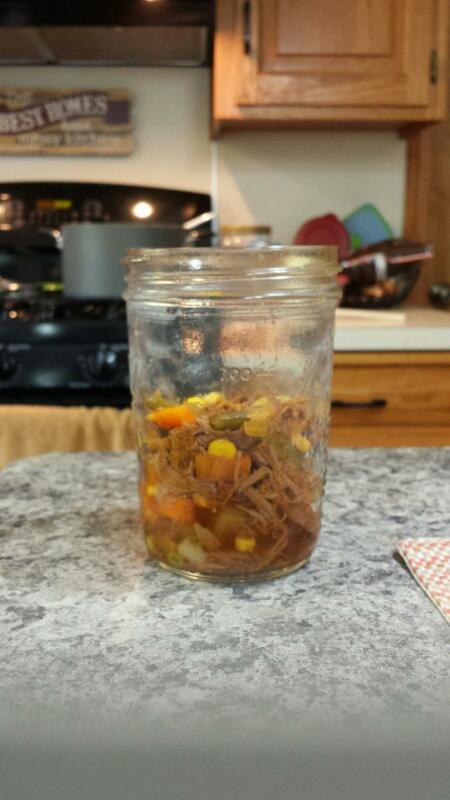 Every family has their favorite recipes, but are they all able to be home canned safely? The answer depends on the ingredients. Soup containing “forbidden” ingredients (see below) cannot be safely home canned. A family soup recipe can be altered to follow the USDA guidelines before being canned. “Forbidden” ingredients can be added to the canned product just before serving. 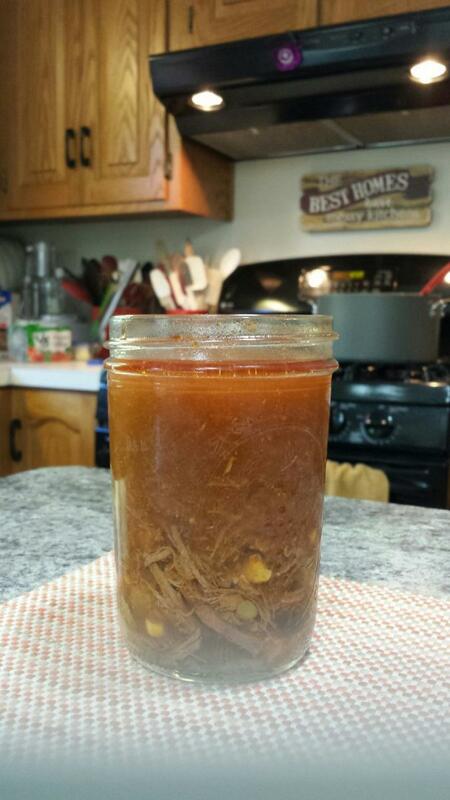 These ingredients are not recommended for home canning because they alter the thickness and/or density of the final product which effects how long it takes for the soup to reach a safe temperature in the core of the jar. This may also impact product quality; the non-vegetable starches may break down during processing, and the dairy ingredients may separate or curdle. All soups MUST be pressure canned. Refer to the Canning Basics fact sheet (HYG-5338) for step-by-step directions for pressure canning. If you don’t want to pressure can, or the soup already contains “forbidden” ingredients, then freeze it. DO NOT ADD "FORBIDDEN" INGREDIENTS TO YOUR SOUP BEFORE PROCESSING! There are endless varieties of soup you can make. The USDA guidelines for canning soup do not specify exact ingredients and measurements. They allow a lot of room to make your own combinations of ingredients—so long as you stay away from the “forbidden” ingredients referred to above. So, what do you do when the recipe you want to make includes these “forbidden” ingredients? If possible, break down your family recipe to see if you could pressure can a combination of liquid, vegetables, dried beans or peas, meat, poultry, or seafood for shelf stable, long-term storage. Then you could add additional ingredients before serving the soup as part of a meal. See Table 1 for some examples. There are four basic steps. Decide what kind of soup “base” you want to make. Pressure can according to USDA guidelines in the charts below. Prior to serving the soup, add additional ingredients (such as the “forbidden”) or puree a portion of the soup to achieve the desired final product. * Tomato or vegetable juice may be used in place of broth or water. Pressure can according to the charts below. Select, wash, and prepare vegetables, meat, poultry, or seafood as described for the specific foods in their own canning instructions. Preparing meat, poultry, or seafood: Cover meat with water and cook until tender. Cool meat and remove bones. Cut meat into bite-sized pieces. Reserve broth, if desired. Preparing vegetables: Wash, trim, and prepare. Cook vegetables as described for a hot pack. Refer to OSU Extension Basics for Canning Vegetables fact sheet (HYG-5344). Be sure to check for proper size of vegetable pieces. DO NOT puree. Preparing dried beans or peas: For each cup of dried beans or peas, add 3 cups of water, boil 2 minutes, remove from heat, soak 1 hour, and heat to boil; drain. Combine solid ingredients with broth, tomato/vegetable juice, or water to cover. Boil 5 minutes. Salt to taste, if desired. Using a slotted spoon, fill jars halfway with solid mixture. Add remaining liquid, leaving 1-inch headspace. Remove bubbles. Wipe jar rim. Adjust lids and process following the recommendations in Table 2 or Table 3 according to the method of canning used. Table 2. Recommended Process Time for Soups in a Dial-Gauge Pressure Canner. Style of Pack Jar Size Process Time 0 - 2,000 ft. 2,001 - 4,000 ft. Hot Pints 60* min. 11 lbs. 12 lbs. Quarts 75* min. 11 lbs. 12 lbs. * Caution: Process 100 minutes if soup contains seafood. Style of Pack Jar Size Process Time 0 - 1,000 ft. Above 1,000 ft. Hot Pints 60* min. 10 lbs. 15 lbs. Quarts 75* min. 10 lbs. 15 lbs. Rinse bones, cover with water, cover pot and simmer 3 to 4 hours. Remove meat from bones. Chill broth, skim off fat and return meat to broth. Reheat broth and meat to boiling. Fill jars, leaving 1 inch of headspace. Adjust lids and process according to Table 4 or Table 5. Place carcass bones in a large stockpot and cover with water. Cover pot and simmer 30 to 45 minutes or until meat can be easily stripped from bones. Chill broth and skim off fat. Strip meat, discard excess skin and fat, and return meat to broth. Reheat to boiling and fill jars. Leave 1 inch of headspace. Adjust lids and process according to Table 4 or Table 5. Homemade soups are something to savor, especially on a cold winter night. They can be a quick and easy meal on a rushed day. While it may not be possible to home can soup exactly like what you might buy in the store, with a few adjustments, you “can” home preserve your families favorite soup recipes. Table 4. Recommended Process Time for Meat Stock in a Dial-Gauge Pressure Canner. Hot Pints 20 min. 11 lbs. 12 lbs. Quarts 25 min. 11 lbs. 12 lbs. Table 5. Recommended Process Time for Meat Stock in a Weighted-Gauge Pressure Canner. Hot Pints 20 min. 10 lbs. 15 lbs. Quarts 25 min. 10 lbs. 15 lbs. Photos by Food Preservation team.